A former gang member with cancer has admitted on TV that he was an accessory to murder in the killing of Tupac Shakur and police have not acted. 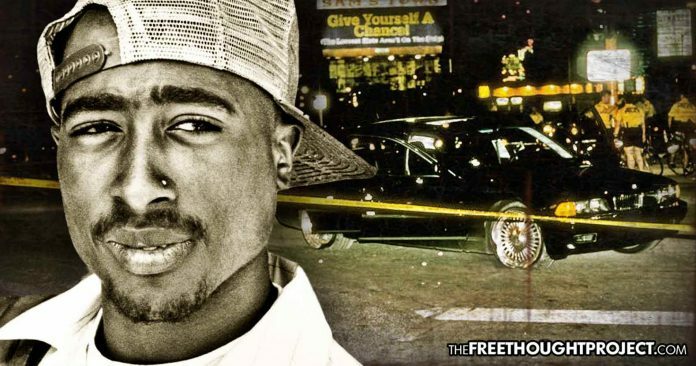 In the films, Unsolved: The Murders of Tupac and The Notorious B.I.G, and Death Row Chronicles, former gang member Keffe D admitted that he was in the front seat of the infamous White Cadilac that pulled up on Tupac and Suge Knight and sprayed their BWM with bullets. “We are aware of the statements made in a BET interview regarding the Tupac case. As a result of those statements, we have spent the last several months reviewing the case in its entirety. Various reports that an arrest warrant is about to be submitted are inaccurate. This case still remains an open homicide case,” LVMPD said in a statement.